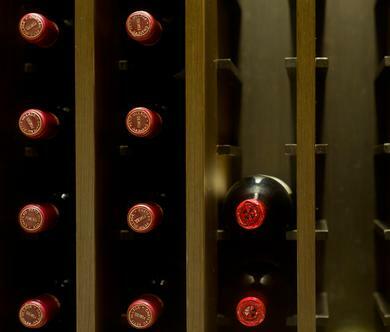 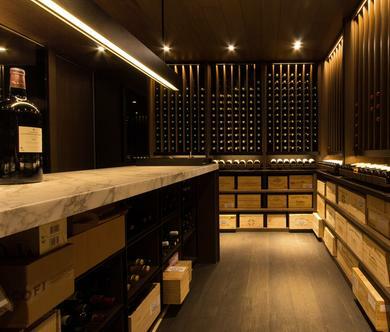 Set within the premises of Holland Road Residence, the wine cellar was conceived as an intimate space for the enjoyment, display and storage of wine. 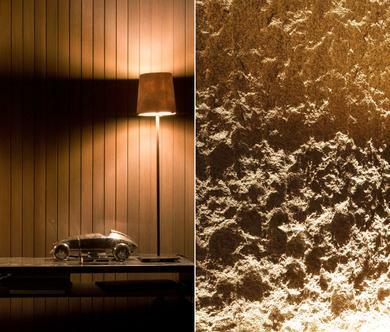 Low mood lighting reveals the warm chocolate tones of walnut shelves, ceiling, and wall panelling, which are offset by the lightness of the striking split face limestone wall. 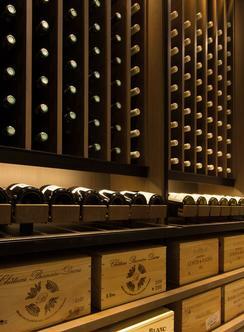 The full-height shelving can accommodate both crates and loose bottles, and features a leather-clad display row where the finest wines can be showcased. 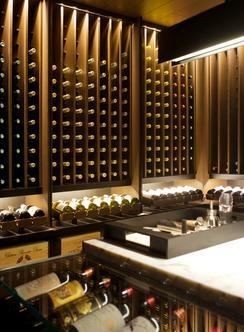 The central island counter also provides crate storage, while its top – half marble, half clear glass – allows for wine presentation and tasting. 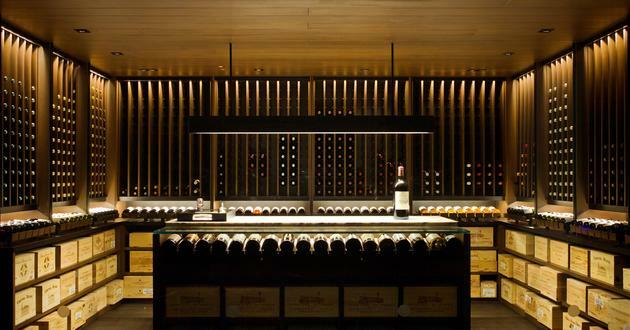 Because of its rational design, the wine cellar can house over 2700 bottles. 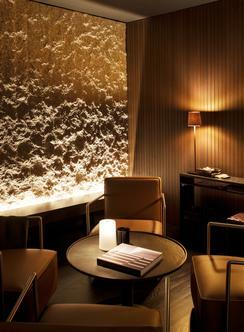 Facing the storage area, a cosy lounge with armchairs in caramel leather upholstery completes the space. 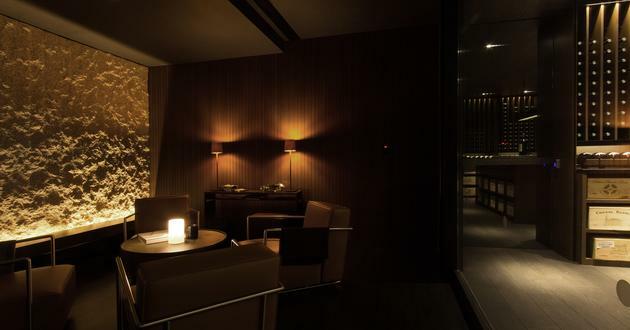 Here, chrome and pleated-leather accents add sparkle and texture to the low-lit interior, giving it the feel of a contemporary gentleman’s club.